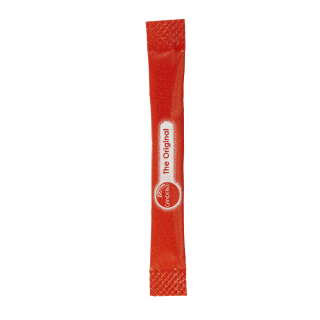 An artificial, portion-controlled sugar substitute in 1g sachets. 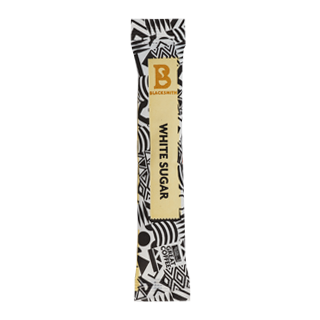 Portion-controlled white sugar in 5g Blacksmith-branded tubes. 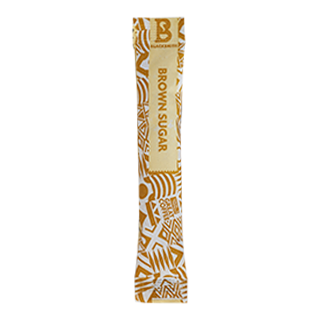 Portion-controlled brown sugar in 5g Blacksmith-branded tubes. 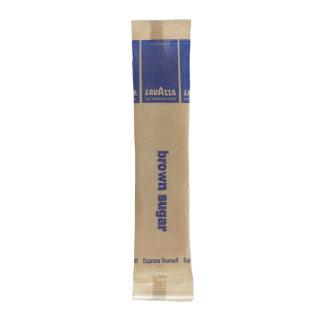 Portion-controlled brown sugar in 4.5g Lavazza-branded tubes. 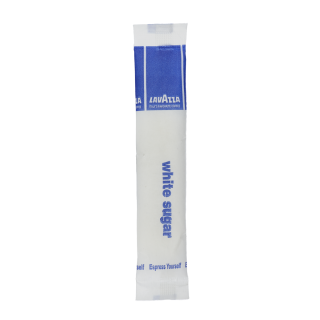 Portion-controlled white sugar in 4.5g Lavazza-branded tubes. 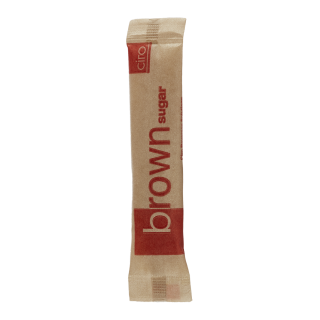 Portion-controlled brown sugar in 4.5g Ciro-branded tubes. 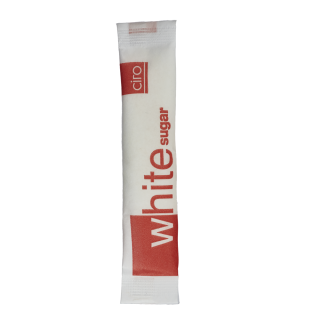 Portion-controlled white sugar in 4.5g Ciro-branded tubes.